There’s an old adage in the Pagan community that says if you invite ten Pagans to an event, you’ll get fifteen different opinions. That’s not too far from the truth. Wiccans and Pagans are people just like everyone else, and so each will have a different perspective on current events. There’s no Pagan Manual that says you must be liberal/conservative/whatever now that you’ve discovered a new spiritual path. That having been said, most Pagans and Wiccans believe in personal responsibility, and that viewpoint extends even to controversial political issues such as abortion and a woman's right to make her own reproductive choices. While many people, of any religion, may define themselves as either pro-choice or anti-abortion, you’ll often find that Pagans, including Wiccans, throw some qualifiers into the argument. One might say they feel abortion is an acceptable decision in some cases but not in others. Another might tell you that it’s up to a woman to choose what to do with her own body, and not anyone else’s business. Some may believe it's a violation of their various spiritual guidelines, such as the Wiccan Rede, while still others find justification and validation in the stories of their gods and goddesses, or in historical precedent from early Pagan cultures around the world. Patheos blogger and author Gus DiZeriga writes, "[T]here is no reasonable argument that (at least at most stages) [a fetus] enjoys anything approaching equality with a human being. Given this simple fact, it seems to me that over most of the process leading towards birth, it should be entirely the woman’s choice whether or not to carry a fetus to term. A woman who gives birth should be honored for doing so, and not considered simply a container whose life must be subordinated to another’s. To treat her as a mere container is to treat her as a slave. Rather, a mother should receive credit for freely choosing one of the most powerful actions of which a human being is capable: bringing another into the world and taking responsibility for seeing that it is raised to adulthood, either by herself and her family, or through adoption." On the other side of the coin, there are Pagans and Wiccans out there who are strongly opposed to abortion, and those who are vocally in favor of a woman’s right to choose. Miss CJ of Chicks on the Right says she finds it "fascinating and quite cool [that there are] pro-life pagans and atheists." There are even groups online specifically designed as a place for pro-life Pagans to network and share their stories and ideas. It's important to keep in mind that no matter how you feel about abortion, it's certainly not a new procedure. Historically, in early societies that also identified as polytheistic and Pagan, women sought out abortions from medical men and healers. Early Egyptian papyrus records show that pregnancies were terminated via herbal prescriptions. It also wasn't uncommon in Greece and Rome; both Plato and Aristotle actually recommended it as a way of keeping the population from getting out of hand. Even among Pagans who believe abortion is wrong, there is often a reluctance to condone government interference in a woman’s reproductive system. Ultimately, you’ll find that the prevailing attitude among Wiccans and Pagans involves taking responsibility for one’s own sexual behavior, birth control, and any possible results of sexual activity. In 2006, Jason Pitzl-Waters of The Wild Hunt wrote, "The current debate about abortion should be about issues of institutional poverty and racism, better social programs, and the real support of women’s health rather than the issue of the legality of abortion. The fact that it isn’t the debate surely makes several conservative factions very, very happy. 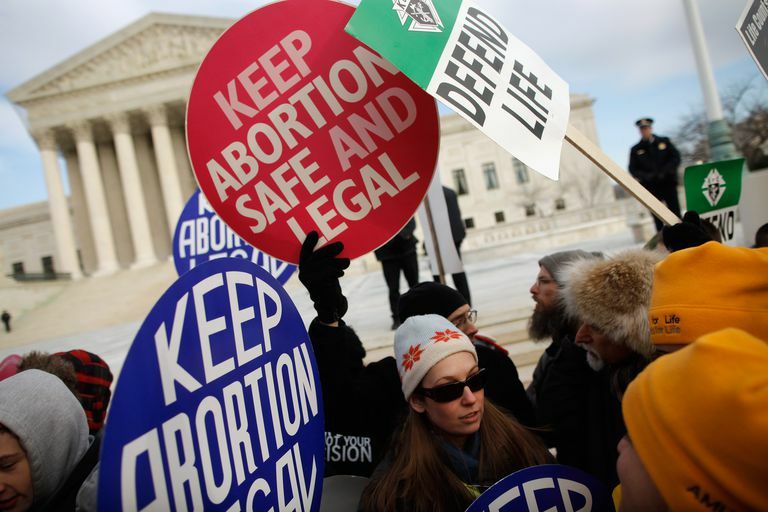 As long as the “pro-life” movement is more concerned with the legalities than with what causes women to want abortions, then the issue will forever be in play."